I first saw Kyle’s work at the 2012 Margarate Guthman Margaret Guthman Musical Instrument Competition at Georgia Tech where he won 2nd place. I was cruising around YouTube and bumped into a more recent piece called de/Rastra: Installation: Cathode Ray Tube Television, Video Transmission, and Algorithmic Computer Composition. Don’t try this at home kids! 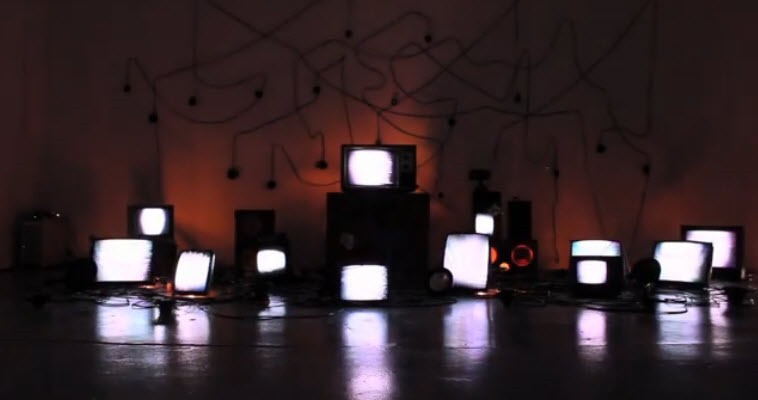 Cathode ray tube televisions, video transmission and algorithmic computer composition.